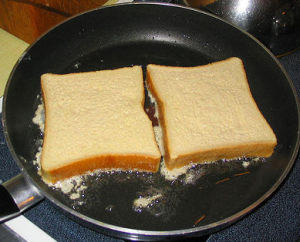 The process of browning, crisping, or drying a food by exposing it to heat. Toasting coconut, nuts, and seeds helps develop their flavor. Also the process of exposing bread to heat so it becomes browner, crisper, and drier.